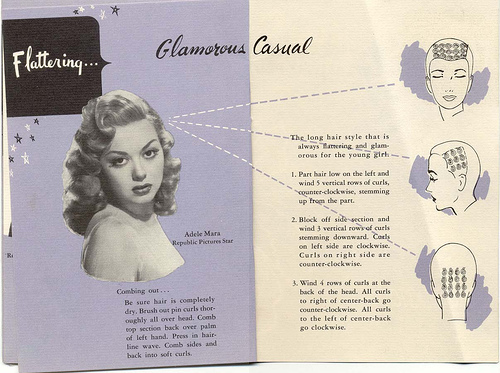 To create a 1950s look it is essential to style our hair like in those years. And the hairstyle that defined that era were the curls. 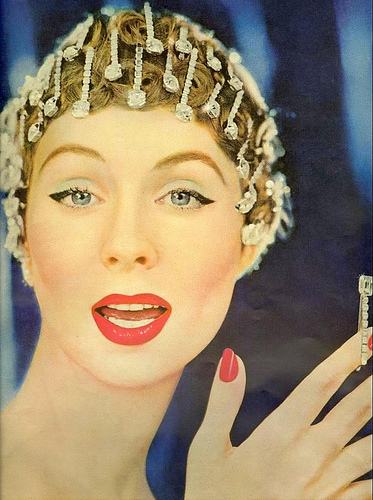 Doesn’t matter what your wear: If you have some 1950s curls you’ll definitely look like you’re from another time. Rollers. Probably the easiest technique to achieve 1950s curls. Personally I prefer foam rollers because they are easier to sleep with. 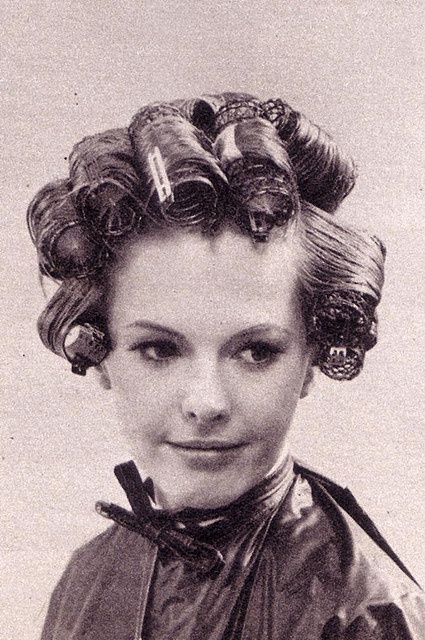 You just have to keep the rollers on your hair for at least 8 hours. Sleeping with them can be a bit uncomfortable. They became very popular in the 60s and during the following decades. Pincurls. They create better curls than rollers – depending on your hair though – and are more comfortable than rollers. They are easier to style for people with shorter hair, and you have to take patience because it’s not easy to roll your hair and then use the pins. There are many tutorials on Youtube to help you start with the art of creating and shaping your hair for a vintage look. People with longer hair often use a curling iron to curl the hair and then place a pin. From all the tutorials I’ve seen I think this one from Pinup Doll Ashley Marie is the best. She really carefully explains how to create the look. Plus I love how she does her bangs. Before starting to curl your hair I recommend you to use a setting lotion to help mold your hair. I use one from Tresemmé to create natural curls that works very we’ll on my hair. Oh and don’t forget to practice to improve on your hair!